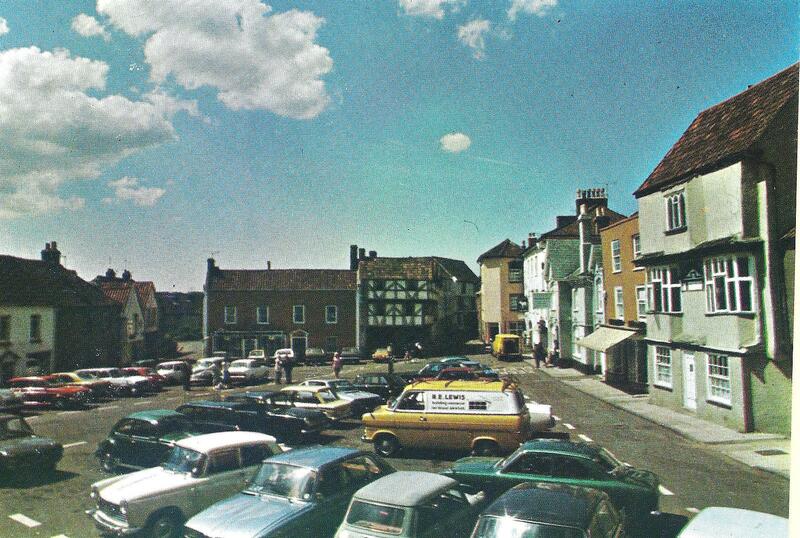 Axbridge Square has been a the site of a Saxon fort or burh, essentially a fortified town with its own mint and garrison in pre-Norman Britain and a car park in the 1970s. Images of the town’s square reveal one of its less glorious moments when Vauxhalls, Fords and Bedford vans filled every spare inch. A few years earlier it had been part of the main road from Wells to Cross with the Square a celebrated bottleneck for traffic in the mid 1960s when the railway was still in place. 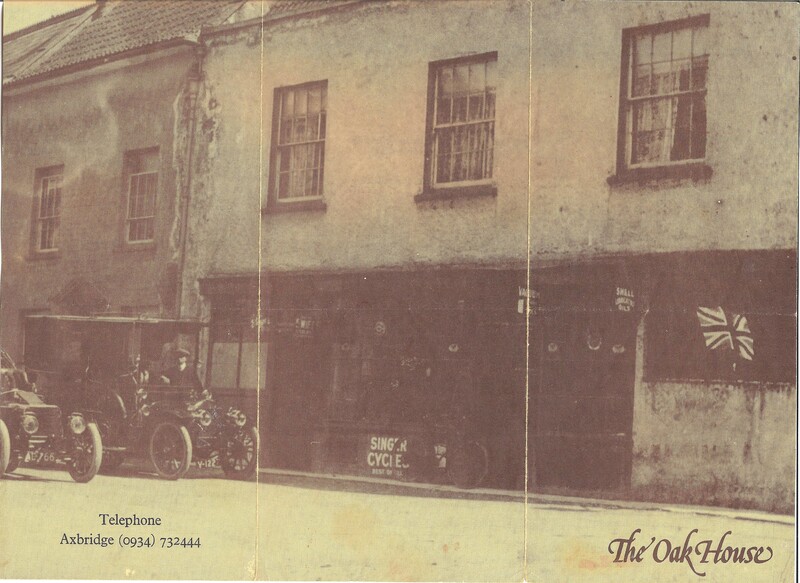 The shop on the corner is still there – now the Cooperative – while the Lamb in one of the pictures has no seats and tables outside the front. The layout for parking has changed considerably from what was then something of a free for all. 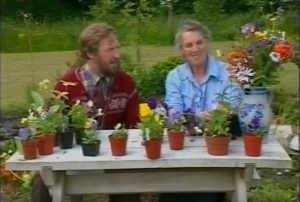 There was a heated debate in the town council in the 1980s about the laying of the new surface – now all but forgotten. And of course the Square is much more than a car park with seating, cycle spaces and occasional public events such as the Pageant and national celebrations. 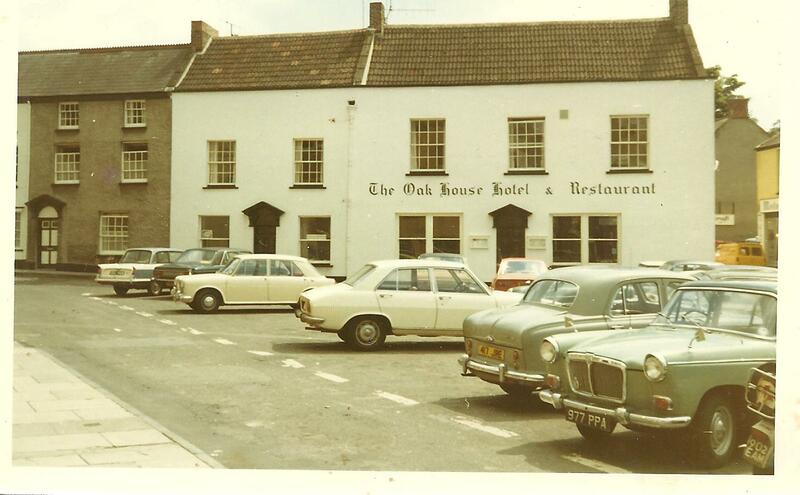 The photo of the Oakhouse Hotel is a real eyeopener. After World War One it was part of a row of houses and was given over as a hardware shop come garage with fuel for sale to the early motor cars. Later in the 20th century the building now used as a Post Office was the place to get your car repaired. And with all that traffic it wasn’t short of passing trade.